This event is now full. Thank you for supporting programming at the Decorah Public Library. Join Katie Prochaska of River Root Farm to learn about techniques used to grow and harvest the flowers on their farm, what dried flower varieties they favor, and different wreath making techniques. 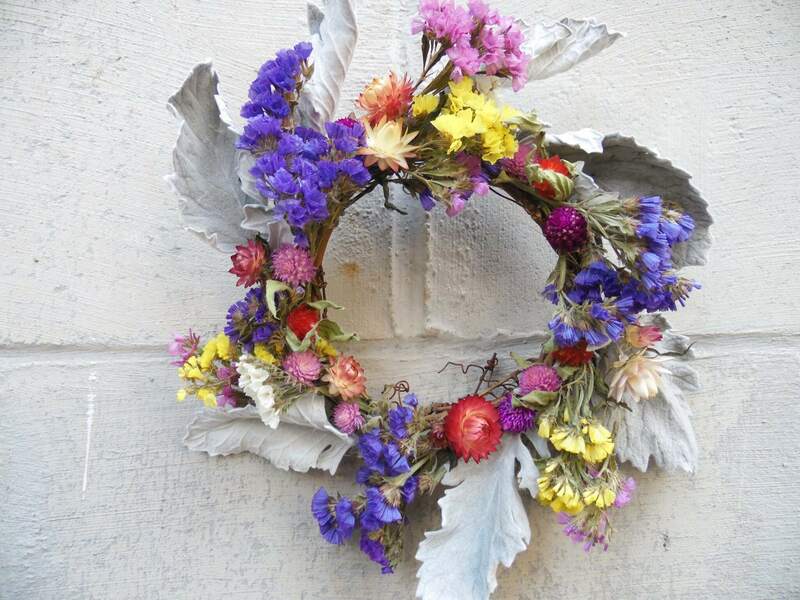 Then the fun will begin as participants get their creative juices flowing and make dried flower wreaths of their own. River Root Farm is an organic vegetable farm located right in the city limits of Decorah on Locust Rd. The farm achieves year round production using movable unheated greenhouses and specializes in spring plant sales, salad greens, microgreens, and cut flowers. Register early, as space and supplies are limited. The class is free but participants are welcome to make a suggested donation of $10-15 to offset supply costs. Call Decorah Public Library at 382-3717 for more information. Location TBD.